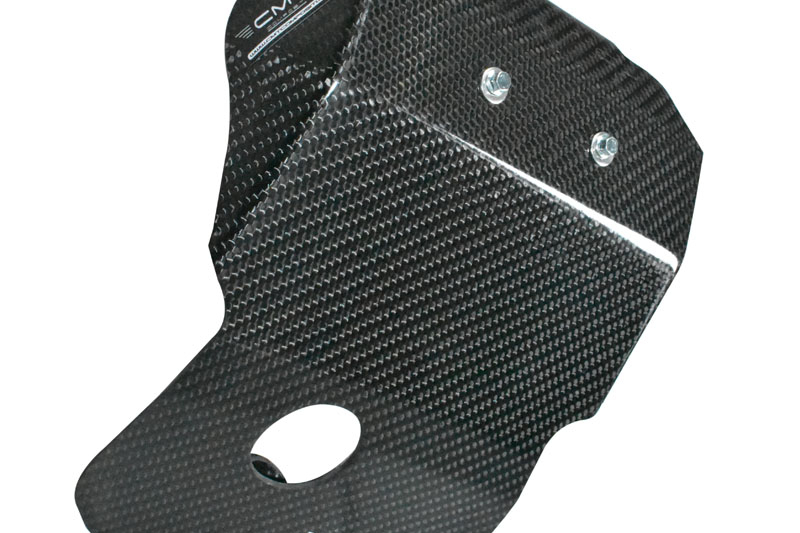 The carbon skid plate in aeronautical carbon for Honda CR 500 1989 - 1990 - 1991 - 1992 - 1993 - 1994 - 1995 - 1996 - 1997 - 1998 - 1999 - 2000 - 2001 is useful against the impact of the cradle when the protruding obstacles are overcome. 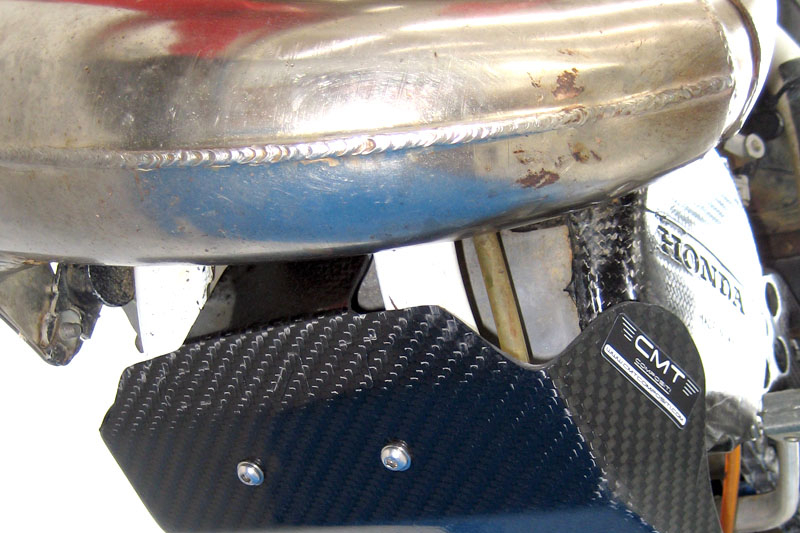 These collisions are potentially damaging and usually considered the very first causes of breakage and malfunction of your engine. 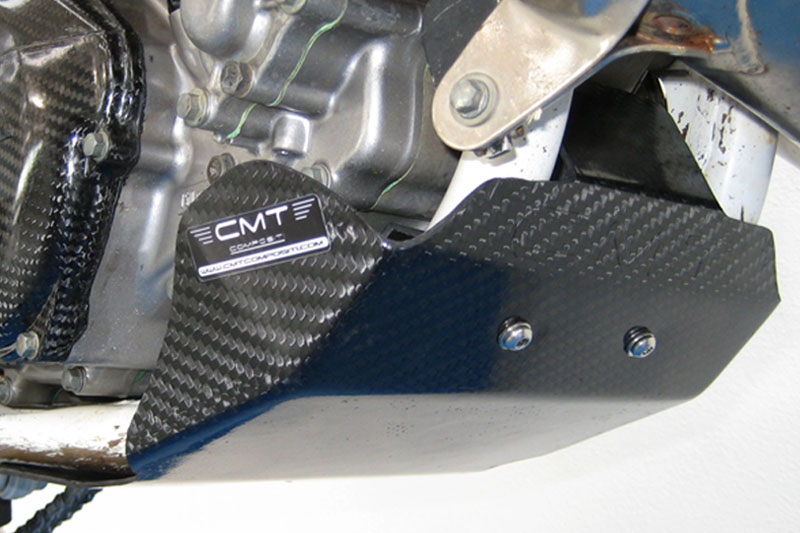 Therefore, we recommend purchasing a CMT's carbon skid plate whose light weight (400g) is one of the main features. 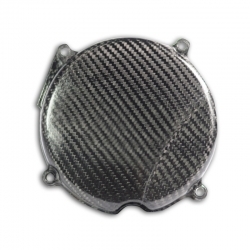 Our products are made by the most experienced experts and, also, the result of the high quality standard achieved by the company over the years.